She has been called the female Lawrence of Arabia, which, while not inaccurate, fails to give Gertrude Bell her due. She was at one time the most powerful woman in the British Empire: a nation builder, the driving force behind the creation of modern-day Iraq. Born in 1868 into a world of privilege, Bell turned her back on Victorian society, choosing to read history at Oxford and going on to become an archaeologist, spy, Arabist, linguist, author, poet, photographer, and legendary mountaineer. She traveled the globe several times, but her passion was the desert, where she traveled with only her guns and her servants. Her vast knowledge of the region made her indispensable to the Cairo Intelligence Office of the British government during World War I. She advised the Viceroy of India; then, as an army major, she traveled to the front lines in Mesopotamia. There, she supported the creation of an autonomous Arab nation for Iraq, promoting and manipulating the election of King Faisal to the throne. 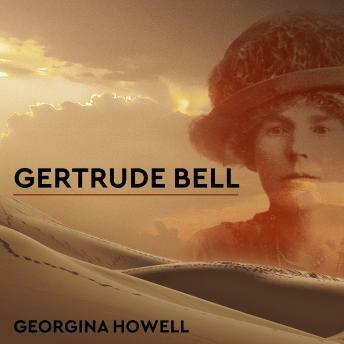 Gertrude Bell, vividly told and impeccably researched by Georgina Howell, is a richly compelling portrait of a woman who transcended the restrictions of her class and times.